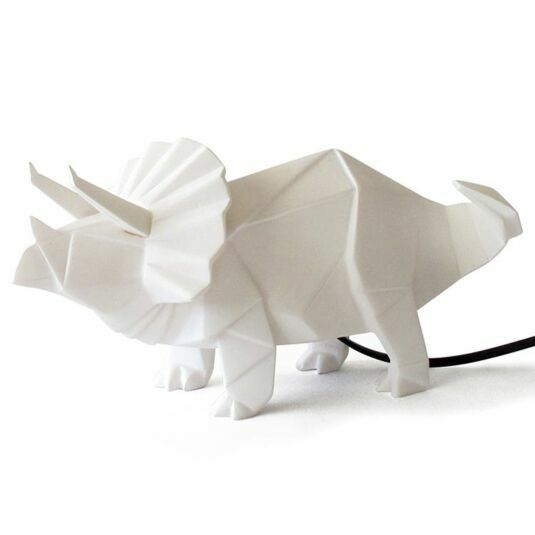 Add some oriental inspired design to your home with this Origami style white dinosaur lamp from Disaster Designs. 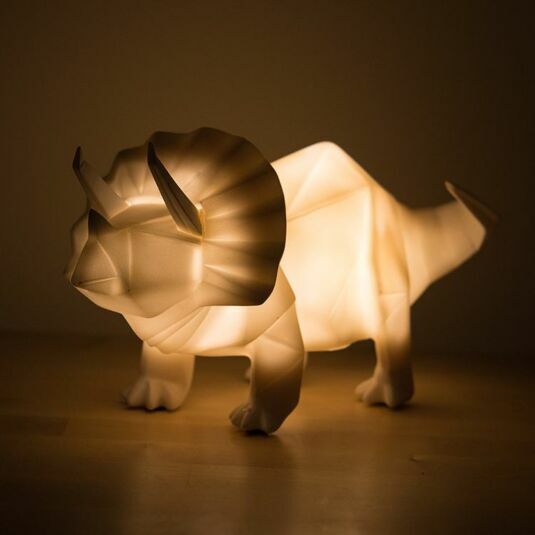 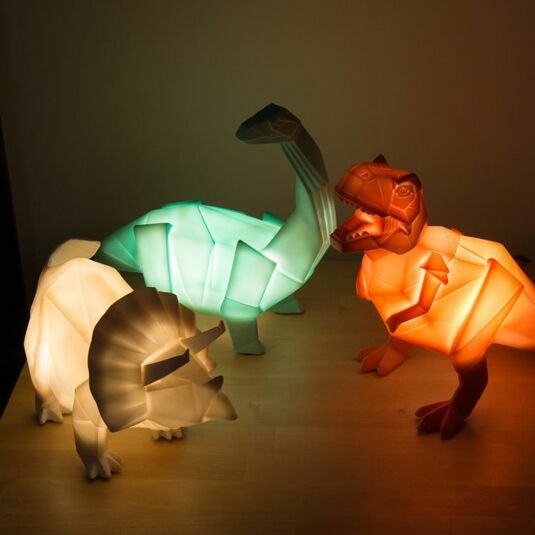 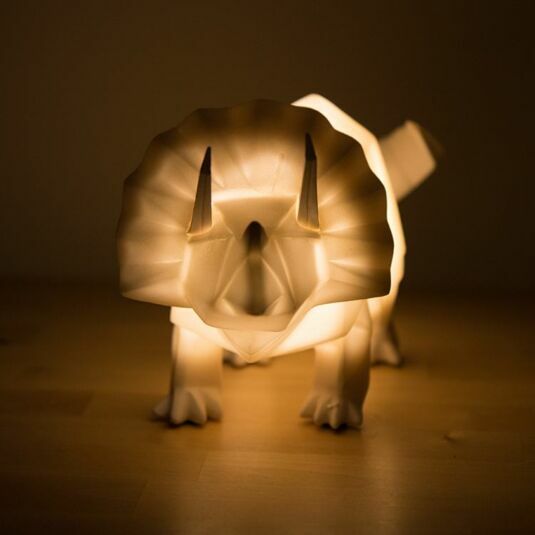 The lamp is white in colour and combines clean cut lines and cubist shapes to create a classic Triceratops dinosaur, complete with three horns and the bony ‘frill’ behind its head. 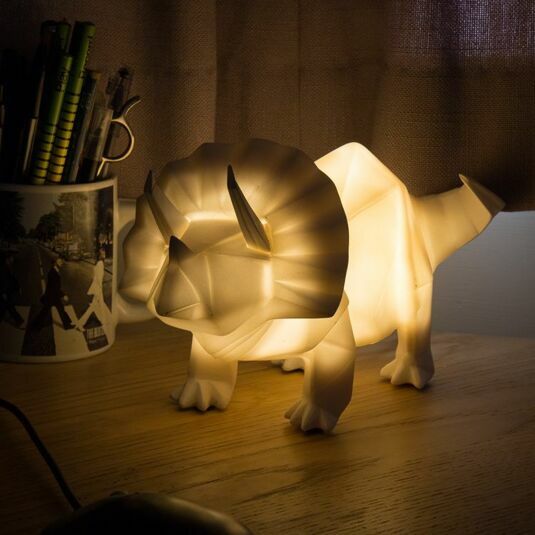 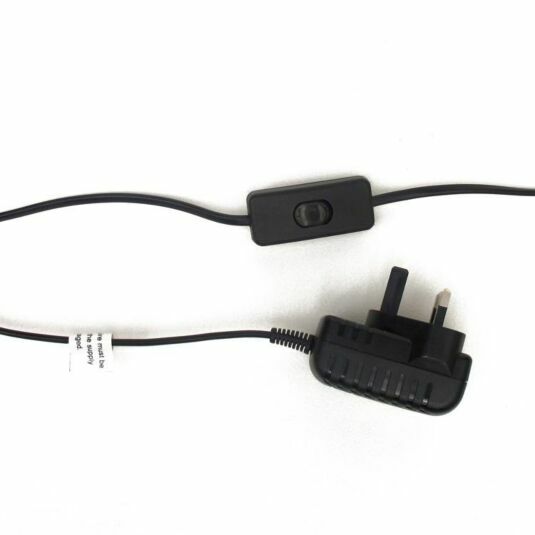 The cute lamp is made from white translucent polyresin and has a LED bulb, black cable with switch and a 3 pin UK standard plug.